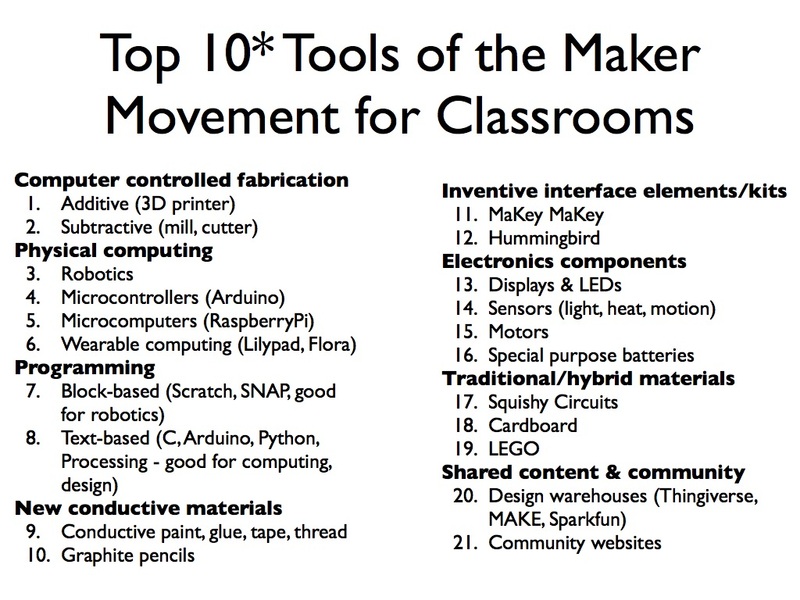 The following are some of our favorite things and stuff used in Invent To Learn workshops. Enjoy! 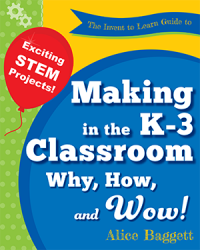 The complete set of our concise how-to guides for classroom or workshop use. 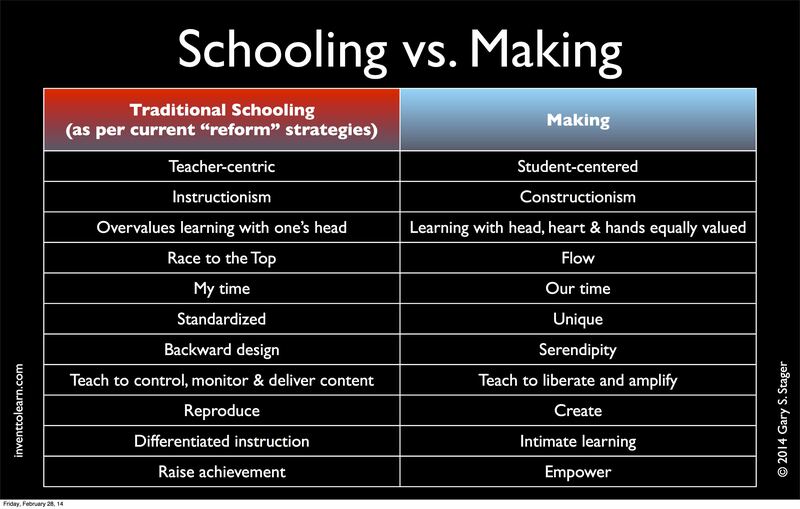 Making and Makerspaces: Where do I start? MakerShed is a good source of kits and maker supplies for the home. They offer an educator discount upon request as well. 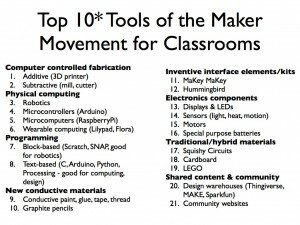 Books are an essential element to any Invent To Learn workshop or a classroom makerspace. Find and stock up on the best books for tinkering, learning, invention, and more selected from this list! Snap is a block-based programming language similar to Scratch, with a few extra features that make it a good choice for middle and high school computer science courses. It runs in the browser and works well with the Hummingbird Robotics Kit. 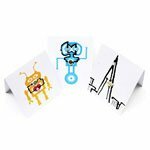 Make electronic circuits and projects out of paper with electronic light, effect, and sensor stickers from Chibitronics! Watch the amazing circuit sticker videos! Buy Circuit Stickers from here. The Hummingbird Duo is a $199 robotics construction kit allowing the invention of robots with found materials. It has many useful features for easy exploration of motors, sensors, and programming, plus is robust and well-documented. 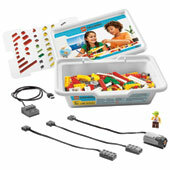 A classroom kit is also available. The Finch is a $100 robot with motors, lights and sensors. It allows for computer programming experience with robotics without building the physical robot. Both systems work great with SNAP!, a dialect of Scratch. 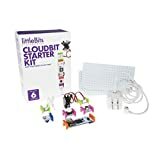 The littleBits web site has a complete store, spare components, and countless project ideas. Wonder Workshop has created Dot and Dash, lovable robots controlled directly or programmed via iPad, iPhone (some models), and Android devices. So far, the programming options are limited to a Scratch-like version of Blockly, but the robots are robust and quickly embraced by young children. Arduino microcontrollers from SparkFun are a good deal. There are many types and you will need to do some investigation to determine which ones are best for you. If you aren’t sure, start with a kit. The Arduino Starter Kit from Arduino has a great book of simple projects. 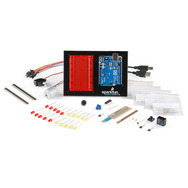 Once you know what parts you need, order separately to make up your own custom classroom Arduino kits! Attach “shields” to add functionality to Arduinos such as GPS, Ethernet, displays, and more. You might wish to try block-based programming of the micro controller over the Arduino IDE via the free Ardublock. The latest version of the Raspberry Pi computer. MaKey MaKey website – You can buy a MaKey MaKey, or look at the galleries of video projects or use the provided apps that you can control via the keyboard. We use LEGO WeDo in our workshops. Since the demise of the fabulous PicoCrickets, this is the most versatile LEGO set for easy to use robotics construction. LEGO WeDo 2 adds bluetooth compatibility. 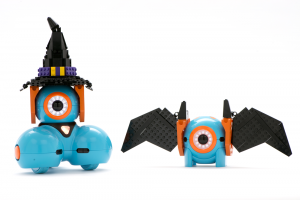 This early-childhood robotics construction kit that may be controlled via Scratch. 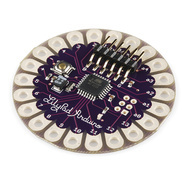 Lilypad is a special Arduino board specially built for wearable computing projects. There are many types for different projects, sizes, and features. 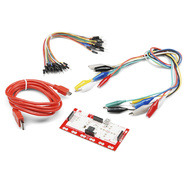 (approx $20) See this Sparkfun page for a variety of Lilypad boards, accessories, and kits. A brilliant way to get started with e-textiles! This set contains everything you need for simple wearable computing projects. The ProtoSnap comes with the Lilypad and several components (lights, buzzer, switch) already attached. This lets you prototype your invention and get your program working. Then you can “snap” the board apart into components to sew them into a garment and connect with conductive thread. This is a lot easier than using a breadboard to prototype a soft-circuit. Flora is another Arduino-based board for wearable computing projects similar to the Lilypad, but with cool modules like GPS. Conductive Thread is a necessity for soft circuits and wearable computing projects. You will likely get some small bobbins of conductive thread if you purchase Lilypad kits, but for classroom use, purchase a large spool. 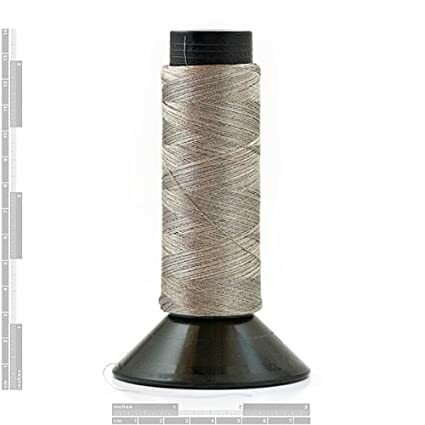 Available from Sparkfun (stainless steel) or Amazon (silver plated nylon core), among others. The silver plated thread tarnishes and can’t be soldered, while the stainless steel is a bit harder to work with. Sewable coin battery holders are really useful for e-textile projects. Soft Circuits, a facilitator’s guide to getting started with wearable computing or e-textiles. Draw electrical circuits on paper with a quick-drying non-toxic pen. Use magnetic components to prototype your inventions before using LEDs, sensors, switches, and other components. Bare Conductive makes a variety of pens, paint, and kits for making paper-based circuits. Squishy circuit dough is homemade “play-dough” for playing with circuits. Two recipes make conductive and insulating dough that can be shaped into fun, soft, squishy circuits that work with LEDs and batteries. Squish Circuits home page – recipes and videos. If you don’t wish to scrounge for parts, the Squishy Circuits Kit is a great way to go! Conductive tape for all sorts of projects. Sticks to paper, cardboard, foam, and other material. Conductive tape can be purchased single sided (only the shiny side is conductive) or double-sided with conductive adhesive (both the shiny and the sticky sides are conductive). The double-sided is a easier to use, but more expensive. LEDs come in a wide range of sizes, colors, and types. Some blink or flash different colors. We use three sizes in our workshops, 3mm (small), 5mm (medium), and 10mm (large). These sizes work well in simple projects with coin cell batteries without worrying about burning them up or using resistors. Lots of inexpensive bulk LEDs. Ebay is also a source for bulk LEDs. RGB LEDs are special LEDs that combine three colors (red, green, blue) that combine to make any color. They are controlled by sending different signals to the 4 legs, so are not very useful for simple projects. You need a multimeter if electronics projects are underway. This is big! 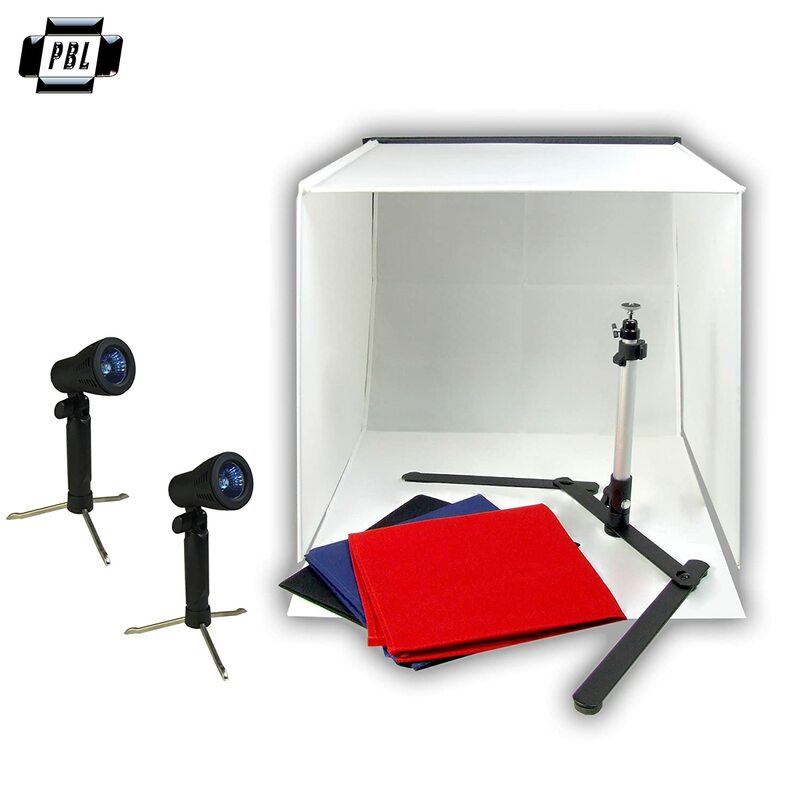 A complete inexpensive green screen studio in a bag! Essential for stop-action animation projects and close-up photography. Everything folds up into a carrying case! My late friend, Steve Ocko, invented this programmable floor turtle (robot) for Milton Bradley in 1979. There has never been a more powerful easy-to-use robot available for kids since.The good news is that some lunatic bought the rights to the Big Trak and is manufacturing new ones 30+ years later.Kids from 5+ will play and learn with Big Trak for ages. Gary Stager consulted with a Canadian firm, Copernicus, to design mobile “maker” and 3D printing carts.